The clocks went forward last night AND this week they announced the first day of Spring (naturally the weather got crap after that). So with all these Spring things happening, here’s my fave spring things to do, buy and see in the coming months! 2/ Embrace those lighter evenings – I came out of work the other day and it was LIGHT! I’m talking blue-ish skies and what not. Make the most of it and get out and about after work for a workout or stroll. Obviously wrap up cos it’s still cold and if you’re up north you might wanna wait a while after this week’s weather, there was snow and stuff! 4/ Carry your sunglasses around – you might not be able to wear them yet but carry them in your bag just in case the sun shines. Also an umbrella for potential April showers, it’s best to be fully prepared for a UK spring, let’s not be too optimistic, we’re cynical Brits afterall. 5/ Plan / Book a summer holiday – we all need to guaranteed sunshine / adventure / travel in our lives so get planning that break for the coming months. Rach and I booked some more things for our trip to Peru the other day – very exciting! 6/ Sit outdoors to eat – sometimes. This is VERY weather depending, perhaps some of those restaurants with heaters are a good idea, or food markets that are kind of in and outdoors. Headed to Pop Brixton the other day and got a sitting outside feel without the real chill of actual outside – great. 7/ Book a festival – yes tickets are being released, so get planning the next time you can wear flower headbands and coloured eyeliner without weird looks in the street. 9/ Easter – I mean I’m not religious and I’m not that bothered about chocolate but I will be spending time with family and friends that weekend <3 (would have been a great reward / treat if I’d managed to keep my “giving up potatoes” lent, but no, I forgot and ate crisps when I was drunk – typical). 10/ Mothers day – it’s today! Happy Mothers Day to all the great mums out there! 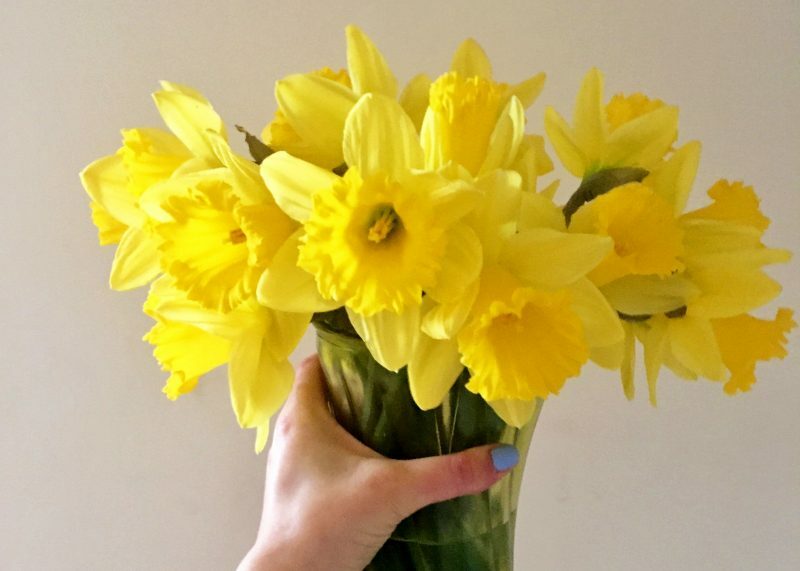 What are your fave things for Spring? How early is too early for the first BBQ of the year…. ?